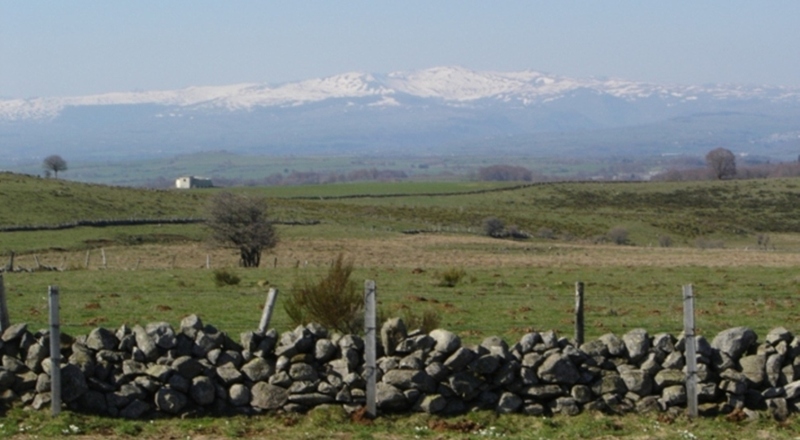 Walking holiday on the Aubrac in Aveyron, Cantal and Lozere. 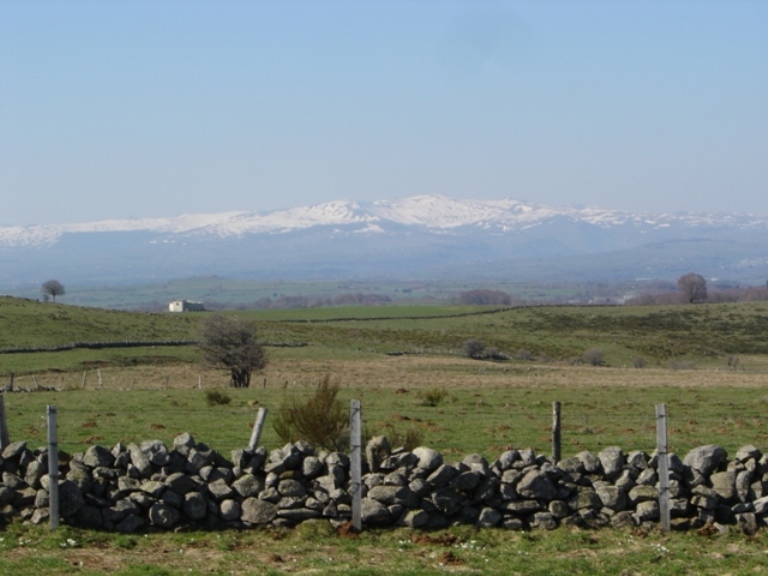 This magical part south of the Auvergne every hiker will like. Also in winter! Unguided with good marked trails or guided for some or all of the the days of your package you will discover more of its mystic caracter. Fantastic views, the Compostella trail hikers know for years now. All or some of the stages can be done without a guide. Your tour will be customized as you wish. 5 to 8 days in hotels and guesthouses. Your bags are transported and you will start and end in St.Urcize in the Cantal department. 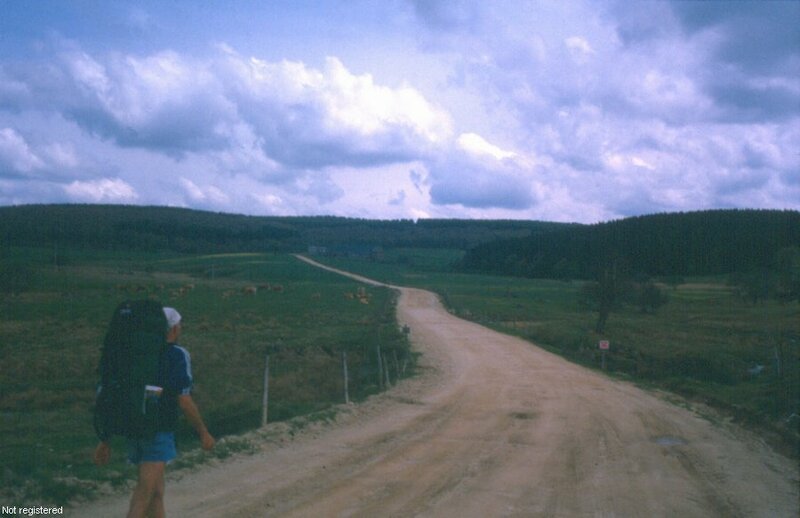 the tour heads to the Lozere and the Aveyron departments as well. You can start any day you want. 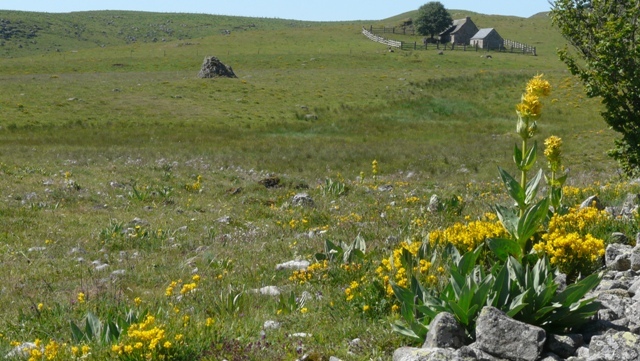 Guided or unguided tours on the Aubrac plateau. This magical part south of the Auvergne every hiker will like. Unguided with good marked trails or guided for some or all of the the days of your package you will discover more of its mystic caracter. Fantastic views, the Compostella trail hikers know for years now. 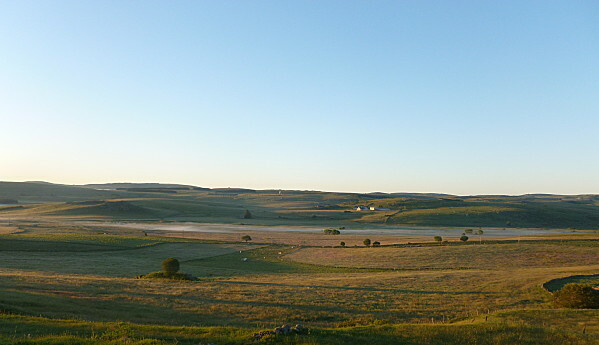 The Aubrac is a place of vast solitudes, a plateau worn down by erosion which has left a landscape of gentle undulations. Originally forested, it was cleared long ago by the monks who lived there. Now it is mainly grassland, covered every spring by a rich new growth, sprinkled everywhere with millions of flowers. Images of a landscape divested of trees to an almost spiritual degree, a landscape which fills the walker with sensations of physical altitude and emotional elevation. 2019 Overnights and breakfasts Dinners Lunches Basic rate p.p. Extra nights B&B Dinner Lunch Basic rate p.p. See terms and conditions of group discounts Discount p.p. Parties of 3 persons : 4 % p.p. Parties of 4 persons : 5 % p.p. Parties of 5 persons : 6 % p.p. Parties of 6 persons : 7 % p.p. Parties of 7 persons : 8 % p.p. Parties of 8 persons : 9 % p.p. 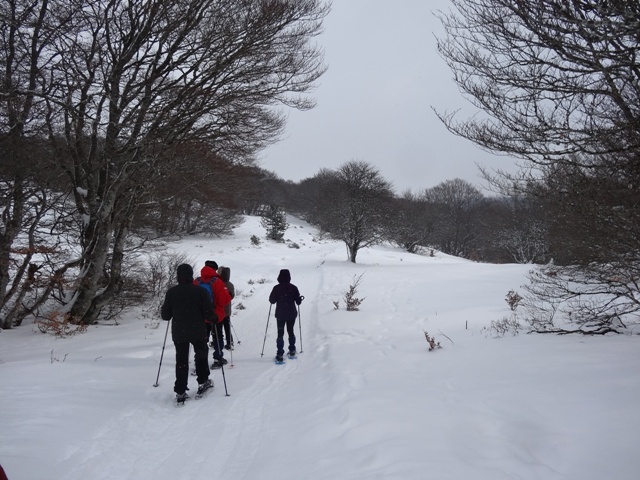 More pictures of the Aubrac in winter: click here.